Citroen cars are full of French personality. 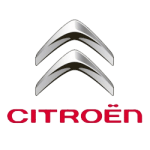 Citroen are a leading French car manufacturer and we have a lot of great Citroen lease deals. Citroen leases offer great value whether you're looking for a family, couple or singles car. From the Citroen C1 to the Space Tourer we have fabulous Citroen lease offers for to consider.